She the People came roaring into town Thursday determined to shake up the political landscape by investing in the leadership and collective power of women of color. 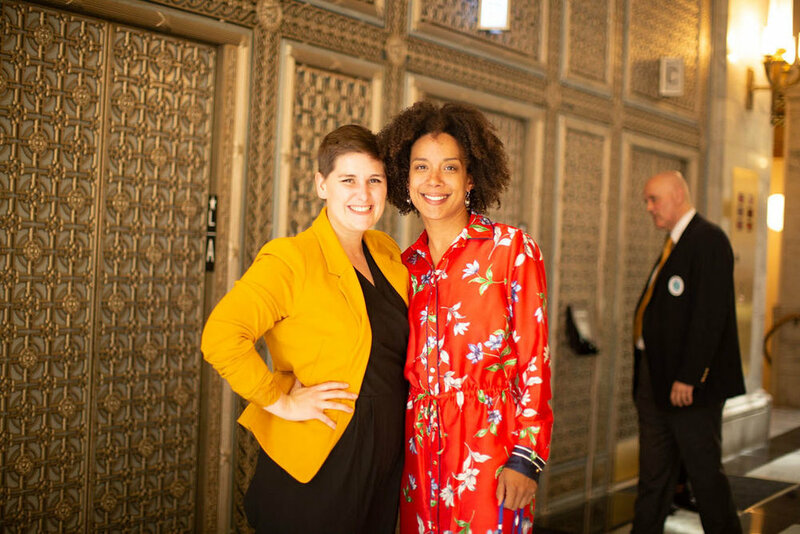 An energized crowd of about 500 squeezed joyfully into the Julia Morgan ballroom for the first “She the People Summit 2018” in San Francisco. The standing room only, sold-out event featured movement leaders and living legends, including Congresswoman Barbara Lee and civil rights leader Dolores Huerta. “We are in the presence of our very own royalty” said Holly Mitchell, California State Senator. Activists from 36 states across the nation flocked to the summit, which was a mix of rollicking rally, power networking event, and get-down-to-business political strategy session. Political stars shared the stage with soon-to-be famous leaders and activists. Black Lives Matter, Women’s March, UltraViolet, Higher Heights, ROC United, Native American women, domestic care workers, LGBTQ activists, and immigrants were among the diverse organizations and movements represented on stage by speakers at the event. Alicia Garza, co-founder of Black Lives Matter, shared in her speech, “I believe that black people deserve to be powerful in politics.” She observed that “this summit is in the legacy of black women coming together to set our own agenda.” Garza offered a new economic vision, saying “we need to transform the economy from one that is predatory to one that is rooted in care.” The caring economy was called for as a paradigm shift by other speakers as well, including Ai-Jen Poo, Director of National Domestic Workers Alliance. The Alliance is working on groundbreaking family care legislation to address the current and coming need for in-home care of elders of the Baby Boom generation and beyond. She the People tapped into something powerful as about 500 women from 36 states came to the summit, and many more tuned in to the live stream, according to founder Aimee Allison. She the People Summit got the details right too, providing a “Quiet Room” for nursing / pumping or general downtime; a red carpet-style media room for photos and on-camera interviews; as well as a lady DJ spinning woman-power tunes. Looking for feminist news, views and events in the San Francisco Bay Area?